âJesus said give to men in needâ: Refugee wants Austrians to share money & homes with migrants Get short URL A Syrian refugee living in Germany and writing columns for the local Huffington Post edition says all Austrians should take migrants into their homes, if they want integration to work. âThose who ask for integration should begin to wonder why integration takes longer or why it does not work in part for many refugees and migrants,â Bacho writes. Therefore, he says, Austrians and migrants should not only go out together and communicate by learning each otherâs languages, he also wants to see every Austrian take in a migrant at home, and donate money to those migrants. Itâs not enough, Bacho says, that Europeans pay taxes, part of which go to their governmentsâ efforts to accommodate the throngs of asylum seekers â" because taxes are mandatory. On top of that, every Austrian should make voluntary donations to support them. He even goes as far as to invoke the Bible, appealing to the ideals of Christianity, Austriaâs dominant religion. âAll Christians should naturally know that Jesus said âgive men in need your home and all y our money.â As you can see, not all Christians adhere to this guideline,â the Syrian man admonishes. Few appear willing to give away their money or personal space simply on Bachoâs sayso. On social media, his call was met with reactions ranging from incredulity, to laughter, to anger. One user turned Bachoâs argument back on him. Integration is, indeed, a two-way street, he said, and the European authorities have already set up frameworks for it. Those unwilling or unable to work within those do not belong in Europe, and simply taking in refugees and giving them money would send the wrong signal. As a columnist for the German edition of Huffington Post, Bacho has been churning out articles urging the Germans to accept refugees and migrants on their soil. His contributions include jabs at the anti-migrant AfD party, calls to give migrants voting rights and defense of the asylum seekersâ false claims of being underage to more easily gain admission. âYes, we give our age wrong! We need it for our future,â one of his headlines reads. 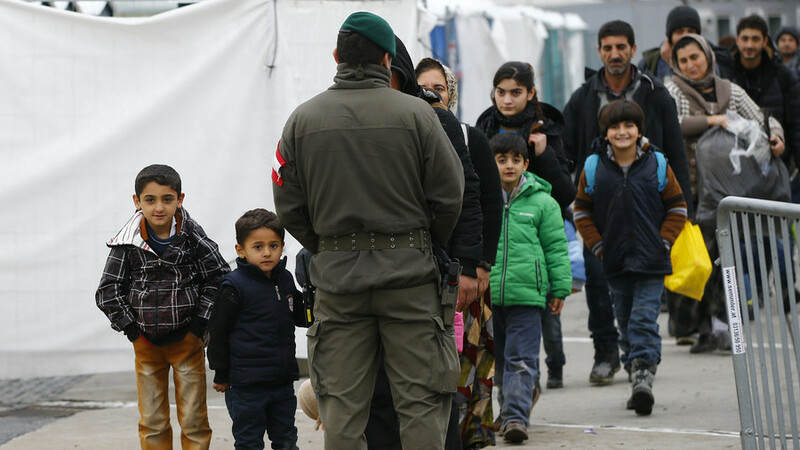 Austria and Germany, along with other European countries, were on the receiving end of a massive inflow of refugees and migrants from the Middle East in 2015. Germany alone took in some 890,000 in 2015 alone, as Chancellor Angela Merkel announced an âopen-doorâ policy towards asylum seekers. The move cost Merkel a big chunk of her popularity amongst the German electorate. Many Germans, worried by rising crime and unhappy with having to pay taxes for the newcomers who in many cases were unwilling to integrate, turned to those with more nationalistic rhetoric. As a result, AfD right-wingers enjoyed a surge of support, getting voted into parliament for the first time in September 2017. Subsc ribe to RT newsletter to get stories the mainstream media wonât tell you.